OXFORD, Miss. – A team of University of Mississippi students and faculty recently traveled to Belize to learn more about the correlation between food insecurity and delinquency. Under the leadership of Linda Keena, interim chair of legal studies, and Martha Bass, associate professor of health, exercise science, and recreation management, graduate students from the Department of Legal Studies went to the Central American nation to study the relationship between food insecurity and delinquency in youth. Previous research indicated that delinquent behaviors are used as a coping strategy to increase household resources such as food. “To our knowledge, this is the first study to examine food insecurity and delinquent behaviors in Belize,” said David H. Holben, resident food security expert, professor of nutrition and hospitality management, and contributor to the study. “Individuals and households cope with food insecurity in a variety of ways. To conduct the study, the team visited Belize City, the country’s largest city, which suffers from high rates of violence and poverty. Many of the city’s young adults are victims of these harsh conditions. 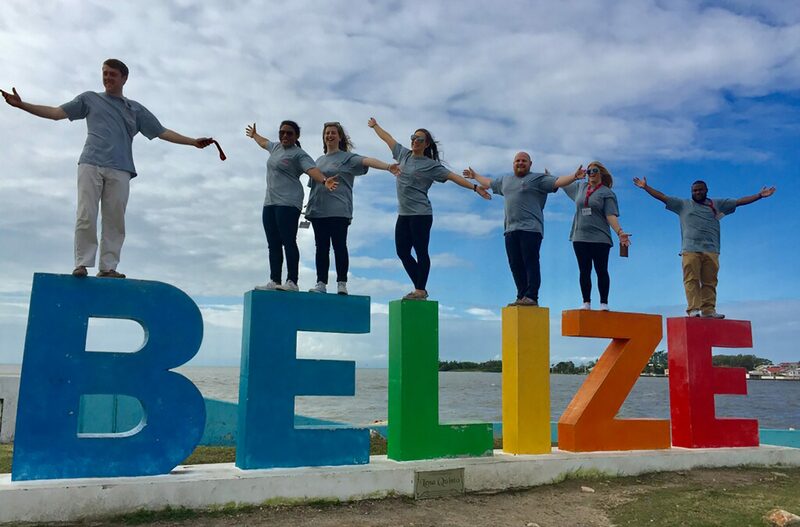 Ole Miss faculty and student researchers worked with the Conscious Youth Development Program, an organization within the Belize Police Department that specializes in gang intervention, to find participants for their study. Funding for the work came from the UM Office of Research and Sponsored Programs. Emma Burleson, a recent Master of Criminal Justice graduate, was among those who helped carry out the research abroad. “I gained valuable experience as a researcher and experienced a new culture in a unique way,” Burleson said. “The research we conducted brought us in direct contact with the citizens of Belize City, and we were interacting with them in their communities, sometimes literally in their backyard. The study looked at 139 participants, who were primarily Creole/black African and averaged 23 years old. The study examined participants’ grit, or perseverance and passion for long-term goals; food insecurities; trust in police fairness and effectiveness; past illegal activity and interest in gangs; and possession of a firearm. The results indicated that almost 75 percent of respondents suffered very low food security. Additionally, when asked about criminal activity in the past 12 months, 56 percent of respondents indicated they had stolen something and 70 percent had used drugs. Evidence from the study suggests that food insecurity is positively associated with delinquent behaviors, so developing interventions in Belize City that address food security should be warranted. Students become better global citizens by studying societal problems in different communities around the world, Keena said. “Increasing their knowledge about food insecurity and delinquency in the Belizean culture and learning how to interact and work with people of different cultural backgrounds was an invaluable educational experience,” she said. Members of the research collaboration, including graduate student Marta Dees, presented “Food insecurity and delinquency among adults in Belize City, Belize” at the recent Food and Nutrition Conference and Expo in Washington, D.C. The study’s poster, titled “Wellness and Public Health,” was one of seven from the Office of Food and Nutrition Security presented at the conference. “This was my first trip to FNCE,” Dees said. “I thoroughly enjoyed the experience and hope to get the chance to present work from the University of Mississippi again. For more information about the departments involved in the study, visit http://sas.olemiss.edu/ or call 662-915-7900.